China’s urbanization is characterized by the informal growth of urban villages, providing housing for the majority of the urban poor. Due to the dual urban-rural land system, local villagers have the right to extend their own houses on their homesteads, which they rent out to migrant population. Migrant population is the group of people who come from rural areas or small cities to big cities like Beijing, pursuing a better chance of well-paid job and quality of life. Despite of being the largest and most vulnerable group in urban villages, migrant stakeholders’ interest and contribution are often overlooked both in academia and in practice. 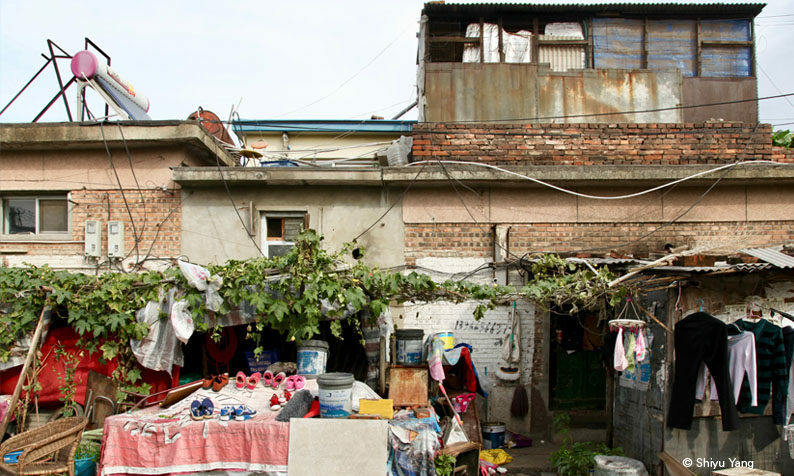 The ongoing PhD research project takes the metropolitan capital city of Beijing as context and aims to study and describe how the migrant population shapes urban villages through their space production (Lefebvre, 1991). Besides the absolute physical space, three other kinds of ‘space’ including ‘space of activity’, ‘space of power’ and ‘space of linkage’ will be defined and examined in the project. It is hypothesized that migrant population is not only passively adopting spaces, but also actively building relationships with and within particular spaces, and giving these spaces certain identities. The village of Shigezhuang and Dongxindian are identified as two study cases in the project. Comparative study will be conducted on these two villages, representing two types of China’s urban villages in terms of the groups of migrant population they accommodate.